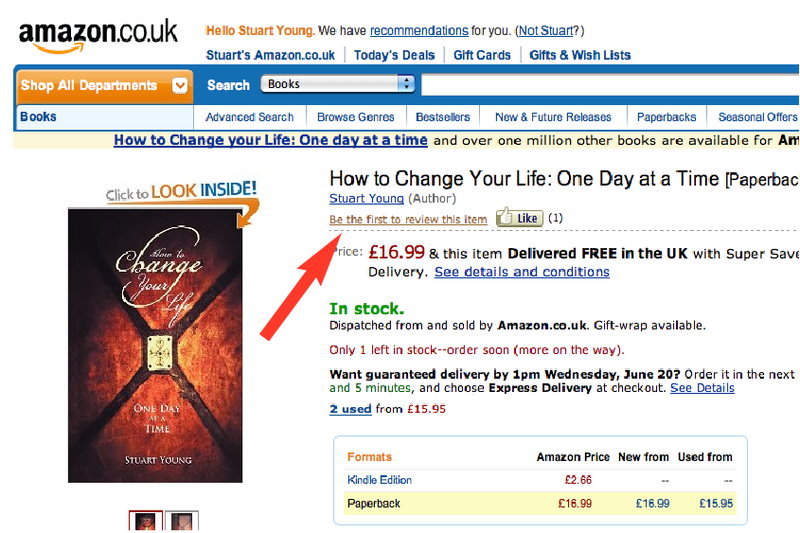 Today is book review day for ‘How To Change Your Life One Day At A Time‘. As mentioned the other day, if you are now reading the book please help me push it up Amazon’s recommend list by doing a short review (only takes 2 mins) by going here. In order for the algorithms to notice them they must happen within a 24 hour period, ie: TODAY! Many thanks once again for doing this on a Sunday.